The accent in the corener is our ticket stub. 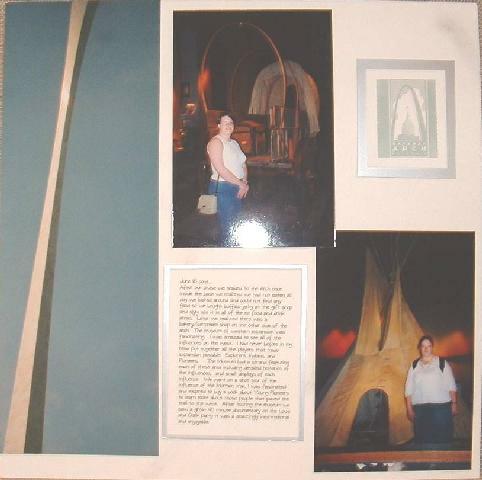 Exploring the history of western expansion was facanating in the base of the arch in the Western Expansion Museum. When we arrived in the Arch we realized we had not eaten for hte day so we snacked on buffalo jerkey only to realize there was a cafe on the other side.